If you haven't heard "fresh hopped" about a thousand times in the last few weeks, you probably don't live in the PNW. How do I know? Well, 98% of all hops used in the US are grown out here in Oregon, Washington, and Idaho. So when summer turns to fall and these little green bombs of goodness are ready to be harvested, we make the most of the season and release a whole bunch of fresh hopped beers. And by "we" I actually mean breweries... I just like to do the tasting and appreciating. If you're into fresh hopped beer, this week is the best week to be in Bend. There are events at 10 Barrel, Deschutes, Worthy, and Bend Brewing Co. all celebrating the release of these delicious fresh hopped beers. Plus, if you're in Bend for First Friday on the 6th, you might catch a few fresh hopped beers on tap around town. As you may know, we love our beer. But we also love our natural environment. That's why we are especially excited about Cascade Lakes Brewing release of its 2017 fresh hop beers: Frog Water Fresh Hop IPA and Sizzle Juice Fresh Hop IPA. Cascade Lakes Brewing Company announced its Fall Fresh Hop releases: The first brew is Frog Water Fresh Hop IPA, a 100% local farm-to-bottle fresh hop beer. Cascade Lakes partnered with Discover Your Forest and the Forest Service to produce this seasonal beer that benefits the education, conservation, and restoration of Oregon spotted frog habitat. This seasonal release has fresh Cascade hops from Cascade Hop Farm in Tumalo, Oregon and Mecca Grade Malt from Madras, making this beer 100% Central Oregon. “What an amazing cause and what a delicious Fresh Hop IPA! 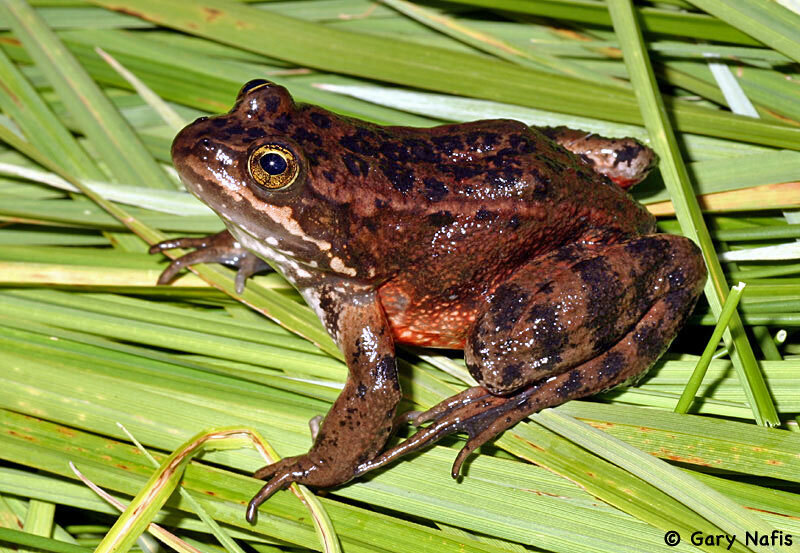 We are proud to donate $500 to Discover Your Forest to increase awareness and restoration needed for the habitat of the Oregon spotted frog,” said Chris Justema, Partner and President of Cascade Lakes Brewing Company. “The creation of this beer represents a great coming together of some of the conservation objectives for water in this basin by shining a light on habitat restoration needs for the frog in the Deschutes basin, while supporting local agriculture. It embodies the win-win we are collectively striving for. It is awesome having Cascade Lakes as a partner in conservation!” said Jason Gritzner, Forest Hydrologist and Watershed Program Manager for the Deschutes and Ochoco National Forests. Frog Water Fresh Hop IPA is available in limited 22oz bottles and draft at several Central Oregon retailers: Newport Market, Broken Top Bottle Shop, Whole Foods, Market of Choice and Buggy Stop in Redmond as well as others. The second seasonal release is Sizzle Juice, another fresh hop IPA with 100% whole cone wet hops grown in Oregon. Each painted bottle is packed with Simcoe hops from Doug at Sodbuster Farms and Cascade hops from Tim “Sizzle” Sisney, a Central Oregon local. “Our friend Tim started growing hops a few years back and had so much success that we decided that team Cascade Lakes and Tim should join efforts resulting in a beer named in his honor. Sizzle juice has a floral aroma and mild bitter finish that is available just once a year. “This is the third year we have produced this wet hop ale and it never disappoints. The hop trip is worth the effort year after year,” says Justema. Sizzle Juice is available as a limited series in 22oz Bottle & Draft. So there you have it! Drink a beer and help save the frogs.